تیمی ژنانی ئەمەریکا بۆ یاری هۆکی توانی لە پاش 20 ساڵ جارێکی دیکە مەدالیای زێڕینی لە ئۆلۆمپیاددا بەدەستهێنا. ڕۆژی پـێنجشەممە ڕێکەوتی 22 ی مانگی دووی 2018 لە میانەی یاریـیەکانی ئۆلۆمپیادی زستانە لە پـیۆنگچانگی کۆریای باشور تیمی ئەمەریکا سەرکەوتی بەسەر تیمی کەنەدا تۆمارکرد و بەوەش بووە براوەی یەکەم. ئەمەش ژمارەیەک وێنەی یاریـیەکەیە لەگەڵ مەدالیاکانی هەردوو تیم کە وەریانگرتووە. 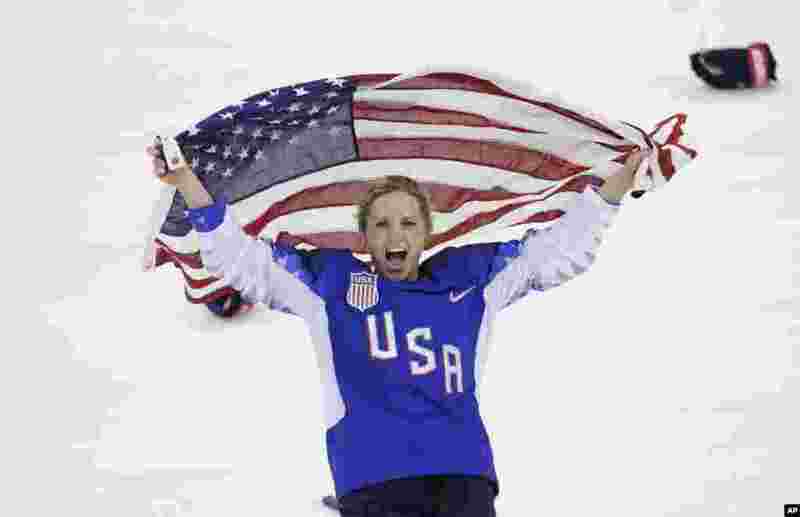 ٥ Jocelyne Lamoureux-Davidson of the United States celebrates after winning the women's gold medal hockey game at the 2018 Winter Olympics in Gangneung, South Korea, Feb. 22, 2018. 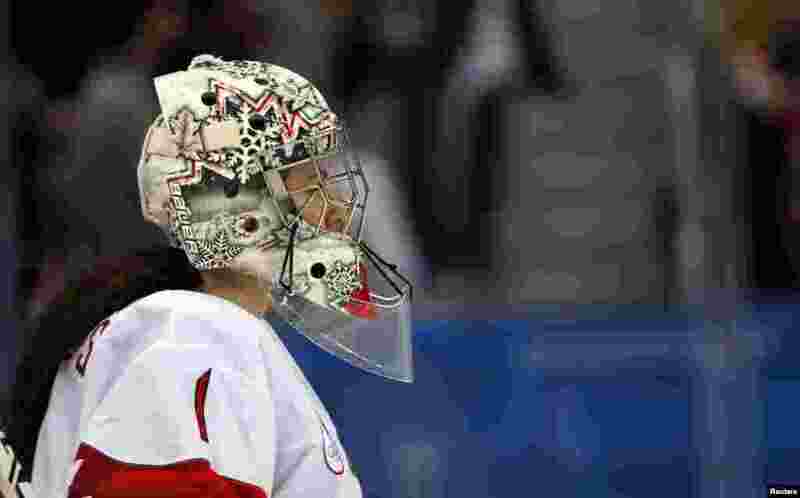 ٦ Goalie Shannon Szabados of Canada watches the women's gold medal hockey game in Gangneung, South Korea, Feb. 22, 2018. 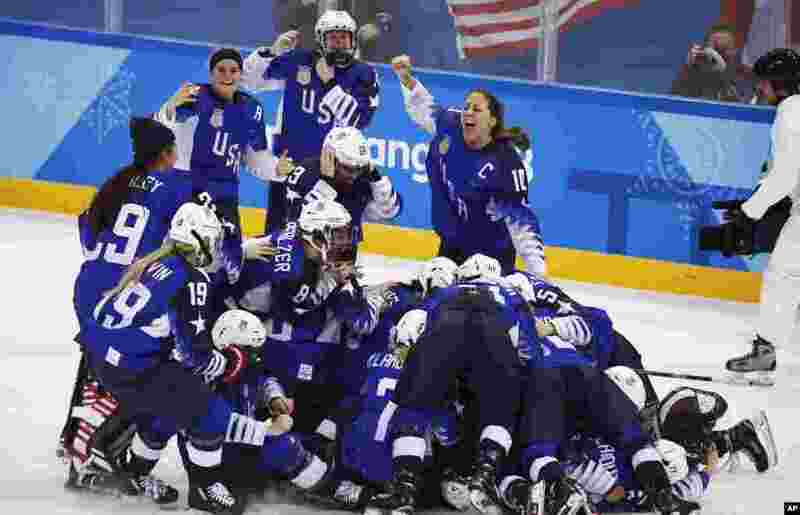 ٧ United States celebrates winning the women's gold medal hockey game against Canada at the 2018 Winter Olympics in Gangneung, South Korea, Feb. 22, 2018. ٨ Bailey Bram of Canada, right, embraces Blayre Turnbull of Canada, after losing to the United States in the women's gold medal hockey game at the 2018 Winter Olympics in Gangneung, South Korea, Feb. 22, 2018.